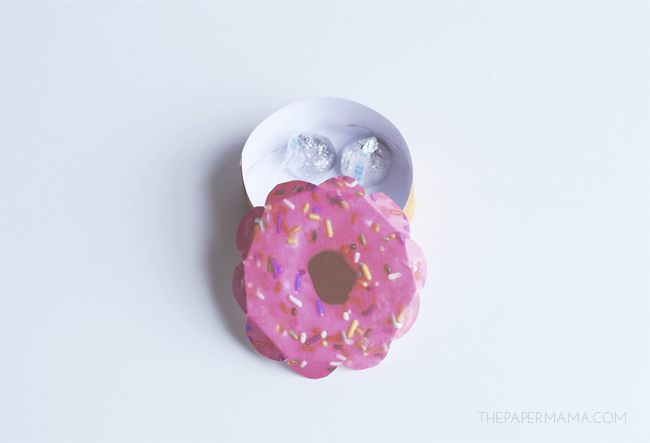 Yesterday I shared my Chocolate Kisses rings, for Valentines, and today I have some Paper Doughnut Valentine’s! Since the kiddo is in preschool, there are lots of kids that come throughout the week, so I made a couple different Valentines for the class. 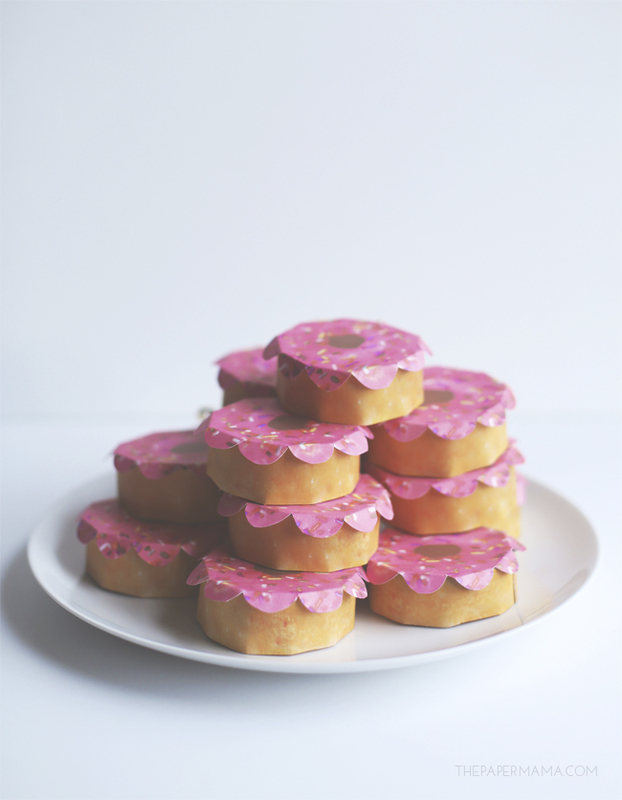 These doughnuts are so cute! 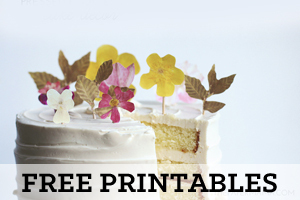 Just print them out, cut them out, and add a treat before you glue together. 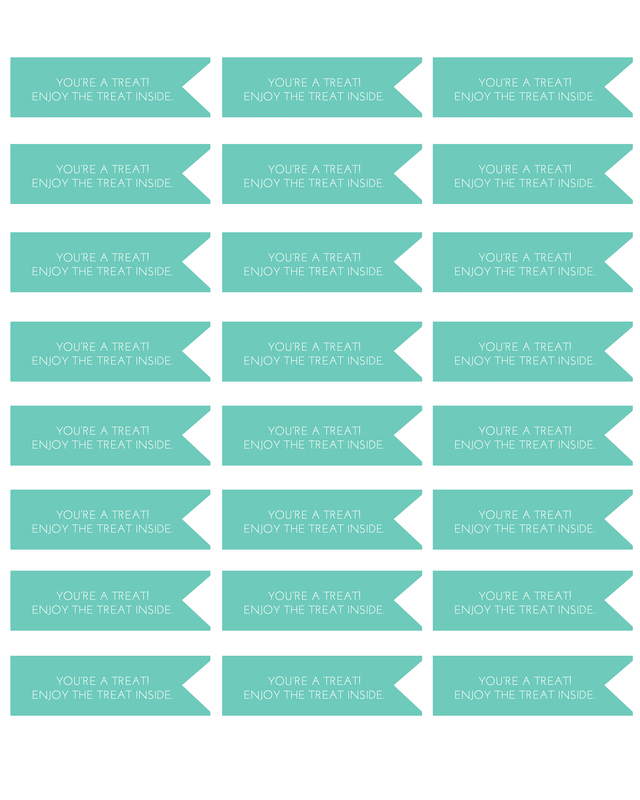 It took me about 5 minutes to assemble each of these Valentines, not that bad. Another great thing: they aren’t that bad for you. 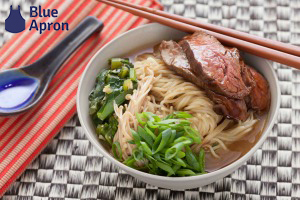 Low calorie! 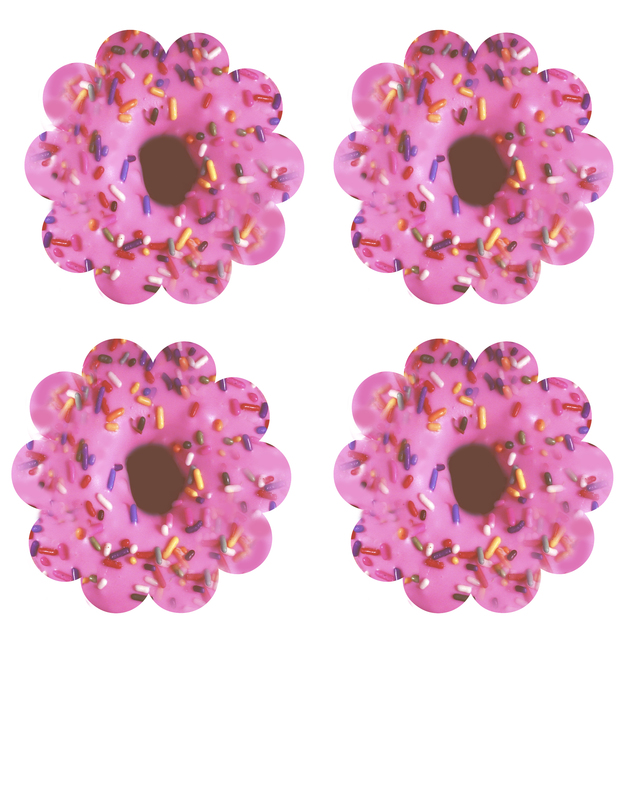 Print out the top and bottom printables for the doughnuts. Use your scissors to cut them out. 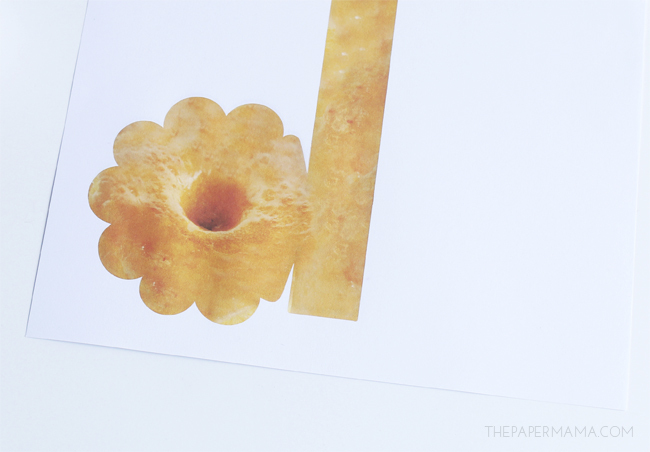 Fold the flaps on the doughnuts. 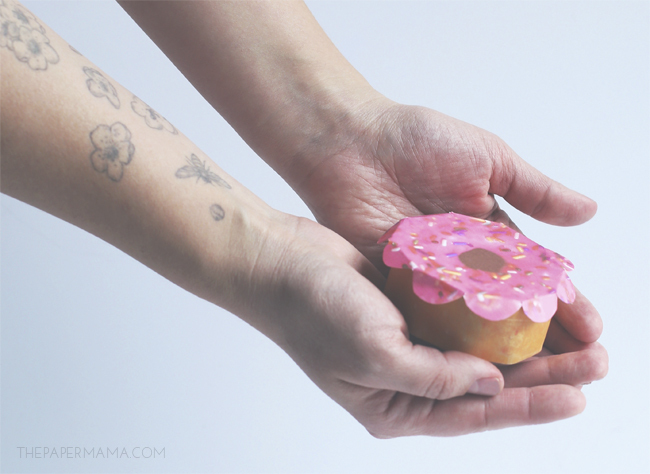 Use the hot glue to glue the bottom of the doughnut. 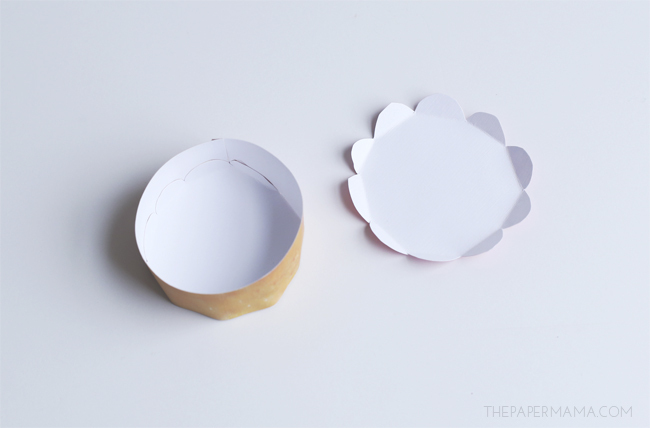 The flaps should glue inside of the doughnut side/circle. 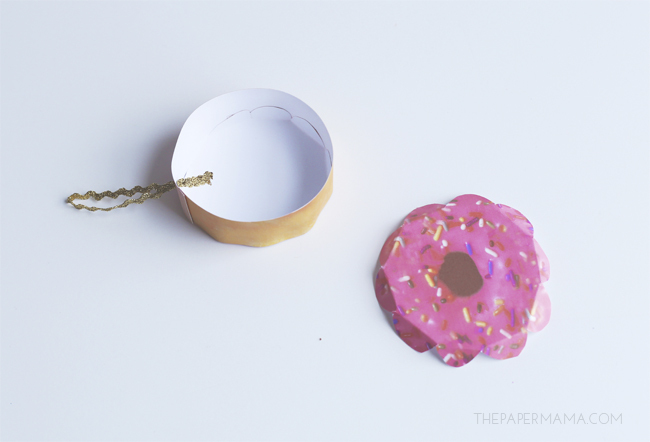 Use the hole punch to put a hole in one side of the doughnut. Cut a section of ribbon, tie a knot in it, and push the tied ribbon into the hole. 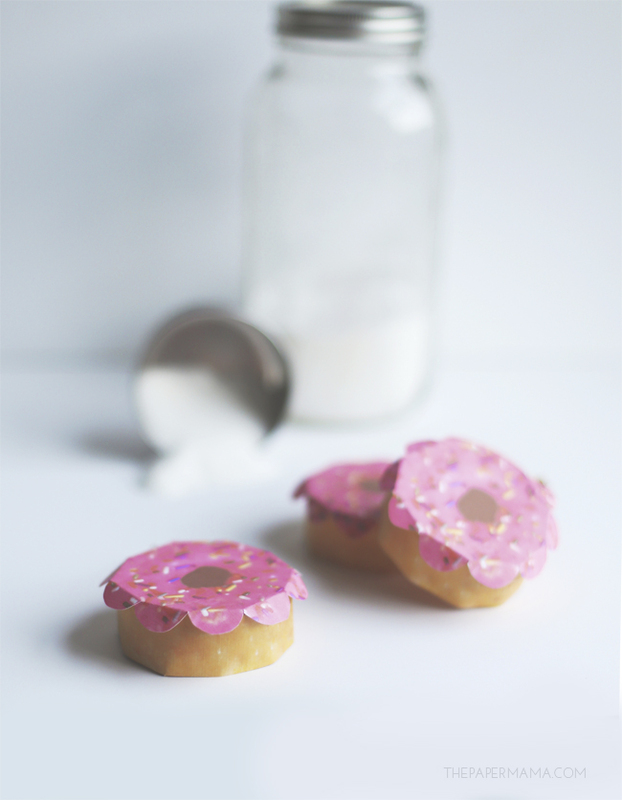 Add the treat to the doughnut, then glue on the glazed doughnut top. 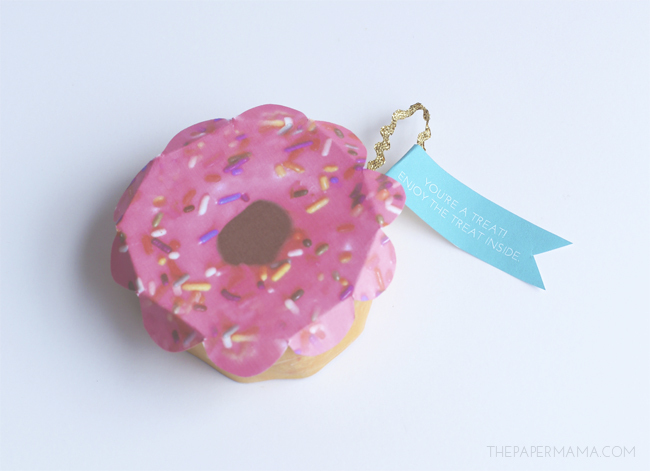 Optional: Print out the “You’re a treat!” tags, and glue onto the doughnut ribbon. Aren’t they cute? 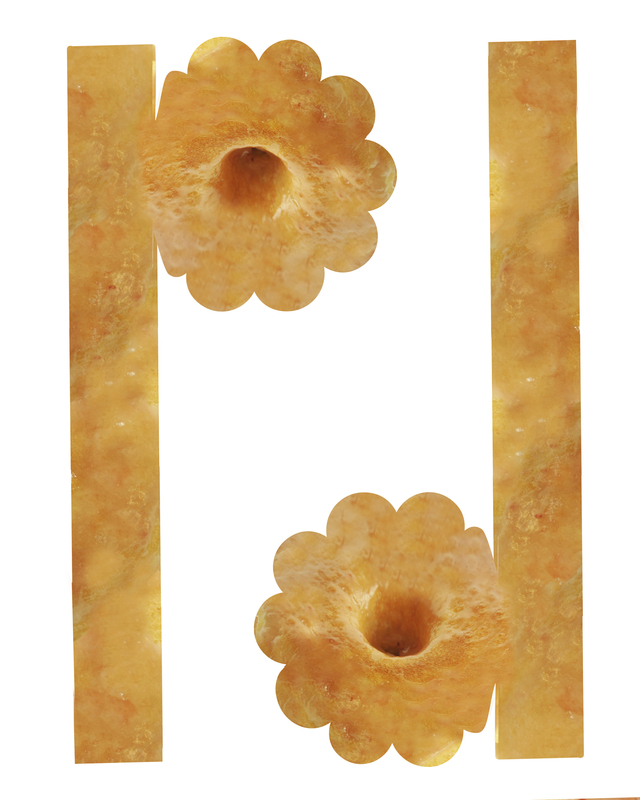 They are so gluten free… hee. 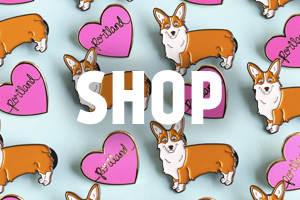 These would be cute for more than just a Valentine’s treat. 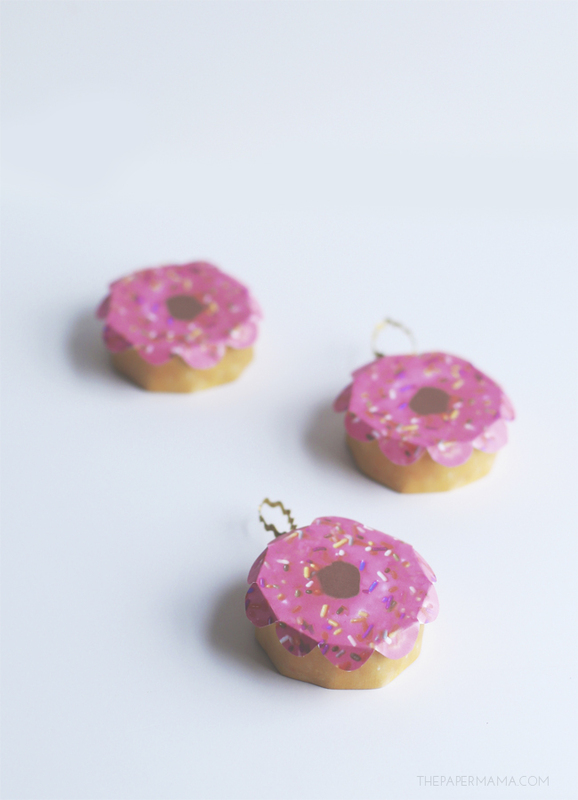 These would be super cute birthday favors!